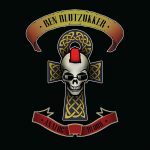 Metal reviews: Blutzukker, Pulvis et Umbra (2015, 2016, 2017). BLUTZUKKER: The Complete Collection — Blutzukker has a decade of history producing entertaining music in a beat-driven, danceable style the artist describes as “Vampiric Dark Electro.” This translates to “bog-standard electronica with guttural black metal vocals,” which is charming if you’re into that sort of thing. Overall the sound is similar to dozens of other electronic/industrial artists, but particularly reminds me of Project Pitchfork and Velvet Acid Christ with more tongue-in-cheek lyrics. All of Blutzukker’s music is currently available as a collection on Bandcamp. There are several remixes in The Complete Collection of “Fright Club,” a cheerily morbid song about what might be hiding under your bed. The original song is one of the best offerings in the collection and well worth a listen or three and would be at home on any Halloween playlist for a listener looking to avoid something as trite as “Monster Mash” but who still has a sense of humor and feels like dancing. 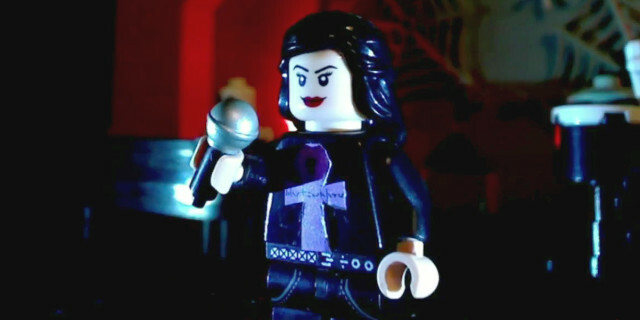 Above: adorable Lego music video for “Fright Club”. Under the name Ben Blutzukker the artist has reworked four of his previous songs as decently hard thrash in an EP called Analog Blood. The clash of black metal vocals with thrash metal arrangements is jarring but the new instrumentation is solid and compelling. Comparing the metal imaginings with their electronic predecessors is a fascinating glance into the creative process; the electronic versions are tight and fit well within the genre but seem flat compared to the energetic guitar and hard drums of the metal covers. Walpurgisnacht in particular stands out as an OK electronic song that makes a good metal song. PULVIS ET UMBRA: Atmosfear — Death metallers Pulvis et Umbra have been making a gradual shift toward the more metalcore end of the spectrum in the last couple of years and the title track of their newly released album, Atmosfear, is a good sampling of both subgenres. The scream-whisper-singing is appropriate for the new direction and doesn’t distract from the low-end heavy guitar sound or manic speed of the track but it isn’t the growl that long-time fans might be expecting. The band’s sound is clearly evolving, with more melodic elements present and less of the dissonance than in previous albums. Damy Mojitodka is a solid musician and has done some solid work in putting this album together; there’s a high degree of technical talent evident in the playing that never undermines the abrasiveness of the music as a whole. Pulvis et Umbra will be touring eastern Europe with Skull Fist and Bastardizer in May 2017 to promote the new album, which is currently available through their Bigcartel store. Internet backbone Cogent blocks Pirate Bay; network admins concerned by fallout. Quando Quango: Pigs and Battleships (1985).